Completed Bachelor degree with a minimum 50% aggregate. For SC/ST/OBC/PD: Minimum 40% aggregate in academics. Seats Reserved: SC:15%, ST: 7.5%, OBC: 27%, PD: 3%. 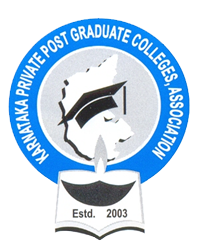 Karnataka Private Post Graduate Colleges' Association will relese the KMAT 2019 Apllication form from 1st June 2019 on the official website of the KPPGCA. Before filling the online KMAT 2019 Application form, candidates should go through the Eligibility criteria as the KMAT 2019 criteria includes certain parameters like Qualification, Marks in qualified exam, Domicial etc. The Eligibility Criteria for KMAT 2019 criteria is described in this below article. Entry requirements into professional courses like MBA/PGDM/MCA in Karnataka are followed as per the guidelines of The University Grants Commission (UGC), New Delhi. For PGDM/ MBA: Bachelors degree with minimum 3 years duration/ Masters degree examination of any recognised education body in Commerce, Management, Arts, Social Sciences, Engineering/ Technology or equivalent, and have secured at least 50% of marks in the aggregate (45% for SC/ST candidate). Candidates in their final year of bachelor’s degree are also eligible. For MCA: Candidates must have a Bachelor's Degree with minimum 50% marks and must have studied Mathematics at 10+2 or graduation level. Age Limit: The candidate must have a minimum age of 21 years to be eligible for writing the examination. Educational Qualification: To fill the KMAT 2019 Application Form candidate need to complete three-year graduate degree post completion of 10+2, in any stream. Minimum Marks: The minimum eligibility marks for the KMAT 2019 Karnataka exam is 50% aggregate in graduation level exam. Candidate will not consider as an eligible in he/she is having less than 50% marks. Reservation Quota: Candidates who belong to SC/ ST/ OBC/ PD categories should have a minimum of 40% in every subject to satisfy the eligibility criteria. Qualification: The candidate must have studied mathematics at 10+2 level or as a Major subject during graduation to be eligible to write KMAT Karnataka 2019. Specific Subjects: Candidates applying for KMAT Karnataka 2019 must have chosen Mathematics as their main subject in either in their graduation or 10+2 to be eligible. Minimum Percentage: Candidate needs to have more than 50% marks in their Bachelor’s Degree. Reservation Quota: Candidates who belong to SC/ ST/ OBC/ PD categories eligibility criteria is a minimum of 40% in every subject. Final Year Candidates: Candidate who is in graduation final year can also apply for KMAT exam and they can also get admission in KMAT 2019 colleges after clearing their graduation as well as KMAT exam. Qualification: These candidates are required to have completed their Bachelors Degree before the time of KMAT 2019 admissions. Note: If the candidates don't have the necessary documents supporting their claim of completion of Bachelor's Degree they can be removed from the process thereafter. For MCA Program, what are the compulsory subjects i should i studied? Candidates applying for KMAT Karnataka 2018 must have chosen Mathematics as their main subject in either in their graduation or 10+2 to be eligible. Get more details from the Link Here. I am a Category student, how much marks should i score in qualifying exam? Candidates who belong to SC/ ST/ OBC/ PD categories should have a minimum of 40% in every subject to satisfy the eligibility criteria. What is the eligibility criteria for the MBA course? The candidate should have completed a three-year graduate degree after their 10+2, in any stream. The degree will have to be recognised by the state authority. The minimum eligibility marks at graduation level is 50% in every subject. Candidates who belong to SC/ ST/ OBC/ PD categories should have a minimum of 40 percent in every subject to satisfy the eligibility criteria. I am 20 years old. Am I eligible to write the KMAT exam? No, you are not eligible to write the exam as the minimum age required to be eligible to write KMAT is 21 years.